General Motors Korea announced June sales totaling 43,692 vehicles; domestic sales totaled 11,455 vehicles, while exports totaled 32,237 vehicles. 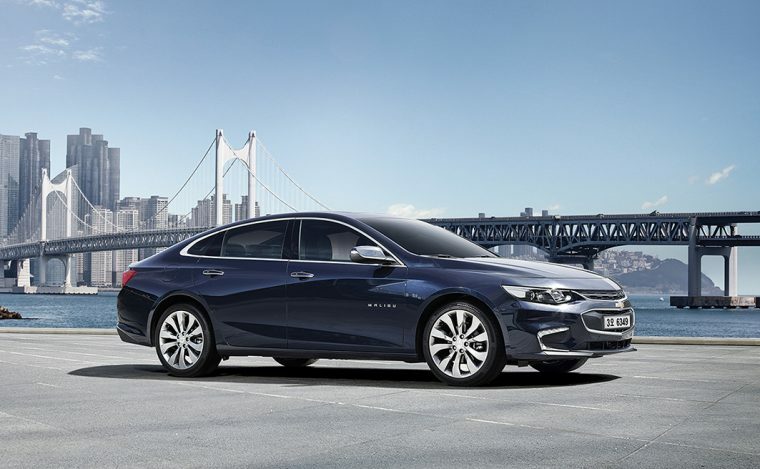 Domestic sales fell 36.6% year-over-year, but GM Korea points to the Cruze and Spark, both recipients of the 2017 Brand Customer Loyalty Index award, as brand sales leaders while highlighting the successes of the Malibu and Trax. Malibu sales totaled 2,879 vehicles in June, bringing its first-half total to 19,698 units. The 56.8% increase from the first half of 2016 puts the Malibu atop the midsize sedan segment thus far in 2017. Sales of the Cruze were up 54.2% year-over-year at 1,434 vehicles, a gain that the automaker attributes to a massive test-drive initiative and focused marketing efforts. Sales of the Trax totaled 1,071 vehicles. Six months into 2017, GM Korea’s sales total 278,998 vehicles. Domestic sales total 72,708 vehicles delivered, and export sales total 206,290 vehicles. In the first half, sales of the new Bolt EV total 280 units.